Not so long ago I told the tale of the premiere of the Water Music, which was written by George Frideric Handel in 1717 to accompany George I and his illustrious friends on a barge trip down the Thames. 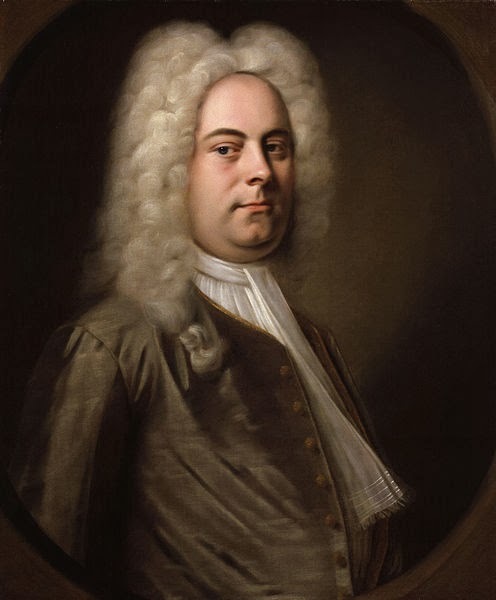 A favourite at the house of Hanover, Handel was to receive another royal commission a decade later, this time from the son of his original benefactor. Once again the request was for music befitting a king and, as with the Water Music, once again Handel would produce a timeless, powerful piece. 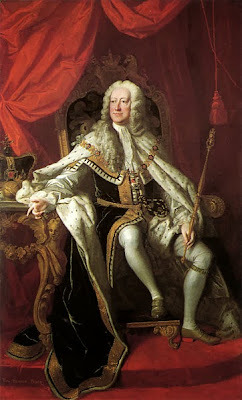 On 11th June 1727, George I died at Osnabrück. He was succeeded as King of Great Britain and Ireland by his son, George Augustus, who immediately set about planning his coronation. Of course, the ceremony would come nowhere close to rivalling the scale of George IV's opulent coronation but when the new king began to think about the music that would accompany the festivities, he turned immediately to Handel. The former Kapellmeister toiled tirelessly over the new compositions, segmenting the coronation ceremony into quarters, each of which would be accompanied by one of four new Coronation Anthems. The anthems premiered on 11th October 1727 and were entitled Let Thy Hand Be Strengthened, Zadok the Priest, The King Shall Rejoice and My Heart Is Inditing. Plans were laid for the anthems to be performed by the choir of the Chapel Royal, accompanied by almost 50 additional singers and an enormous orchestra, cementing Handel's reputation as a composer on a grand scale. Incorporating text from the King James Bible, the anthems celebrated the anointing of the new king and the crowning of the queen, building from a low-key start to a rousing, choral celebration. Quite unlike George IV's precision-planned coronation, on the big day there was confusion among the singers as to exactly when each anthem should be sung. The choir forgot to perform one anthem altogether and though Zadok the Priest was intended to provide a rousing accompaniment to the sovereign's anointing, the piece ended up being sung at the wrong point of the ceremony. Still, my grandmother Gilflurt was there on the day and says it sounded wonderful nonetheless! Since that day in 1727 the majestic anthem, Zadok the Priest, has become one of the most famous pieces of music ever written, performed at every coronation since George II. A jubilant celebration, Zadok the Priest is a true Giflurt favourite! The part where the choir join the orchestra always gives me shivers - such a marvellous piece of music. Great post. Thank you; it's a really wonderful piece of music, I never tire of hearing it! Music that completely carries me to superb place, magnificent! The power of music can't be underestimated, happily! The Gilflurts obviously have a highly developed ear for majestic music,Madame! Wasn’t there quite some controversy that the commission was given to Handel rather than the official court composer (I think it was Greene at the time)?